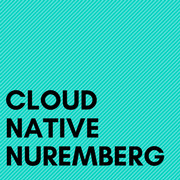 TL;DR Let's get together and talk about how we develop Cloud Native applications and how we operate the platforms where we deploy them. Cloud Native applications give businesses more agility than traditional software does. This agility is achieved using the twelve-factor (https://12factor.net/) methodology to develop Software as a Service (SaaS) and deploying multiple times on a Platform as a Service (PaaS) to deliver fixes and features to end users. Creating SaaS is not an easy task, we would all benefit from sharing our experiences. Ideally, we would create an atmosphere that allows every person to have a good time, teach & learn, and make some new connections. Cloud Native is programming language and platform agnostic. If you are interested in participating please join the group. If you would also like to help to launch this meetup just ping me so we can plan it together.